Pharmaceutical sales division applies Precision Leadership methods to fast track sales results. The pharmaceutical sales division of one of the world’s largest healthcare organizations discovered that successful sales strategies are not simply some magical mix of sales savvy and landing the right territory. Precision Leadership® (PL) methods provided the fast-track system to consistently achieve targeted discretionary effort™ along with the results that are the outcomes of that effort. The large sales force of this globally competitive pharmaceutical division faced multiple business issues, one of which was wide variance in individual sales representative performance. However, even though the performance variance existed with the sales representatives, the variance included director and division management performance as well. The performance disparity was such that the organization knew that profitable opportunities were being bypassed because (with a few exceptions) neither management, nor sales personnel were operating to their fullest potentials. 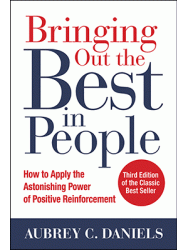 Management wanted to know how to raise poor performance to average, how to make average performance exceptional, and how to continually develop and inspire top performers. Of course, the ultimate goal was an ongoing cycle of improvement until every individual reached and sustained optimal performance levels. According to PL consultants, the problem resided not only in sales behaviors, but in the lacking support behaviors of management staff. Managers were in the habit of catching people doing something wrong, pointing out inadequacies, and/or sticking to primarily administrative functions. Another overall business issue, then, was the charge to emerge from a shame-and-blame culture to a culture of coaching, support, and development. When sales were low, many sales reps and managers blamed their lack of success on being stuck with a poor territory--a claim for which truth exists. The PL professionals understood that saturated markets play a strong part in the sales potential of some territories and that, in the past two decades, the number of U.S. pharmaceutical sales reps has doubled. They explained the need for customized sales techniques that acknowledged such factors and then addressed the behaviors over which reps and managers had control – and those which actually had a real impact on securing the sell and extending the sales relationship for each particular situation. For example, customer-centered selling requires the sales professional to adjust strategies for direct-physician selling versus selling at the hospital administrator level or for selling in states which are predominantly managed care versus those that are not. Ride-alongs on field trips with sales reps and managers enabled the PL consultants to pinpoint best practices and observe customer environments. Because of the issues of time with and access to physicians, the salespeople learned to delineate and then practice those activities that added value for the customer, persuaded the customer to write prescriptions for product, and last but not least, most solidly assured a positive audience with the customer in the future. This group was voted best sales division in the organization for two years in a row (and counting) after implementing PL technology. All groups that implemented behavior-based PL methods improved, and data improvement coincides with activation of the PL process. One division went from being 52nd out of 55 in sales of a key product, to 1st. Sales reps identified factors of control via behavior action plans and, consequently, realized influence over individual accountability. Sales Reps built action plans to sign-up Physician Assistants and Nurse Practitioners. Their plans included key behaviors, how to track progress, and the rewards for meeting their goal. The sign-up rate went from 20% to 80% within one year.